Looking to watch the Green Bay Packers online all season long? Click here to learn about all of your legal options to enjoy Green Bay Packers live stream. Access to over 185 channels and NFL SUNDAY TICKET for the 2018 season. No contract, all the channels you need, and ability to stream on two different screens. Great local channel coverage and unlimited DVR storage, but no NFL Network. Get ready, Packers fans because football season is upon us, and it’s better than ever. After his noticeable absence from the 2017 season, Aaron Rodgers is back and looking to get his offense into playoff-level shape for this new 2018 season. We’ve made sure you won’t have to miss a second of Green Bay Packer football this season—just take a look at out top three recommended services and find the best fit for you. You’ll be watching every Packers game possible in no time. 10 out of 16 Packers games are scheduled to play through FOX channels. That’s a huge majority, so you can probably tell how important it is that you get FOX. As for the remaining games, 3 out of the 6 can be watched on NBC. CBS will take care of 2 of the last 3 games, while ESPN handles the last one. We’ve binged and streamed hundreds of hours of TV to determine the best service out there for watching the Green Bay Packers. The results are in, and our recommendations are below. DIRECTV is the only satellite TV option on this list, but it’s also the best option if you want to watch every single Green Bay Packers game—if you’re living out of market, specifically. DIRECTV is a leader in entertainment mostly because of its massive channel catalog. That’s definitely a plus for channel flippers. But the price of that channel list isn’t as consistent as we’d like it to be. During your first year with DIRECTV, you’ll benefit from NFL SUNDAY TICKET being included in the price, which is only $45 per month. Sounds great, right? And it is. But here’s the kicker—the second-year price escalates to $105 per month. Yeah, that’s a pretty eye-widening amount. But when we did the math, we actually found that DIRECTV is a bit cheaper than DISH per month in the long-run. Naturally DIRECTV has some flaws, but we wouldn’t necessarily discard it as an option.  Especially if you have a spotty internet connection or live in a rural area, DIRECTV could be just what you need to catch all the best Green Bay Packers games. Here’s one of the best draws for DIRECTV: new customers get full access to all out-of-market 2018 NFL season games with NFL SUNDAY TICKET. NFL SUNDAY TICKET gives you every single out-of-market football game this season. That means no local interruptions or the risk of buffering like you’d get with a streaming provider. Be aware, though—the first season of NFL SUNDAY TICKET is included in DIRECTV’s CHOICE™ package, but if you want to sign up for another season, it’ll cost you an additional $293 on top of your package. That price point definitely makes you stop and think. But if you’re a Green Bay Packers fan who’s living out of state and you want all the games your football-shaped heart desires—well, the price is probably worth it. Hulu with Live TV stands out from the other services on this list because of the sheer amount of premium content it offers. If you’re looking for a place to catch up on the latest dramas and get access to this week’s SportsCenter highlights, Hulu Live’s got your back. Dramas aren’t the only good thing Hulu gives you. 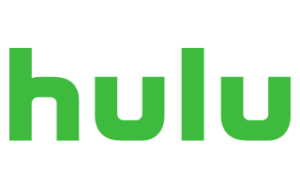 Hulu Live offers the best access to local channels when compared to any other streaming service, and it also allows you to stream the Packers on any screen. For $39.99 a month, you’ll be getting most of what you want, and probably a little more. Hulu Live includes access to Hulu’s on-demand library, with original shows like The Handmaid’s Tale, Castle Rock, and Power. If you’re looking to join in on break-room conversation about several shows happening throughout the week, having Hulu Live helps. Hulu Live’s channel selection is a bit small if you compare it to DIRECTV (one of the reasons it’s second on our list). But unlike DIRECTV, Hulu offers the option to customize your package so you can get sweet, sweet premium add-ons like get access to NFL RedZone and NFL Network. These add-ons may not be as expansive as DIRECTV’s NFL SUNDAY TICKET, but you’ll still be able to see all the action that happens within the 20-yard line. Just keep in mind that each one of these add-ons raises the cost of your bill, and you’ll probably pay more than you expected once all is said and done. It’ll be more affordable when compared to NFL SUNDAY TICKET’s second-year price, and you’ll still get a hell of a lot of football. In our humble opinion, Hulu Live offers a lot of content both on and off the field. Its on-demand library is home to some of the most talked-about series out now, and you can customize your subscription to fit everything you deem essential, like more football. While it can sometimes feel like Hulu Live is nickel and diming you—it’s the perfect service for those who want a shotgun approach to entertainment. A little bit of everything can go a long way. YouTube TV is one of the best streaming services available—not very subtle, we know, but it’s a good place to start. A few details we can point out about why YouTube TV is so great are its unlimited cloud DVR storage, YouTube Original content, and the ability to share one account with up to six friends. You still have access to Green Bay Packers games through local channels. YouTube TV works to provide channels like FOX and CBS nationwide, but it can still be subject to regional blackouts. We recommend that you double-check if the channels you need are available in your area by going to YouTube TV’s homepage. YouTube TV has over 70 channels available for you for only $40 a month—it roughly comes out to about $0.55 a channel. But if you’re looking for a service that has channels that show solely football games, you won’t find it on YouTube Live. Unfortunately, YouTube TV doesn’t offer the NFL Network or NFL RedZone. There’s not even an add-on option—we checked. The unlimited cloud DVR storage feature means you can record all the shows you want across all your devices, including your TV, tablet, or mobile device. Plus, YouTube TV lets you keep your recordings for up to nine months, giving you plenty of time to catch up on shows you may have missed. After a tough season in 2017, the Packers are ready for a comeback in the 2018 season. Don’t miss out on any games, whether you’re at home or on the move. Let us know what service you choose to watch the Packers in the comments below! And if you have any questions about these services, feel free to email us.